Truckload Piano Sale at Schmitt Music Omaha through Labor Day! Piano Warehouse Sale at Schmitt Music Denver through Labor Day! Truckload Piano Sale at Schmitt Music Kansas City through Labor Day! 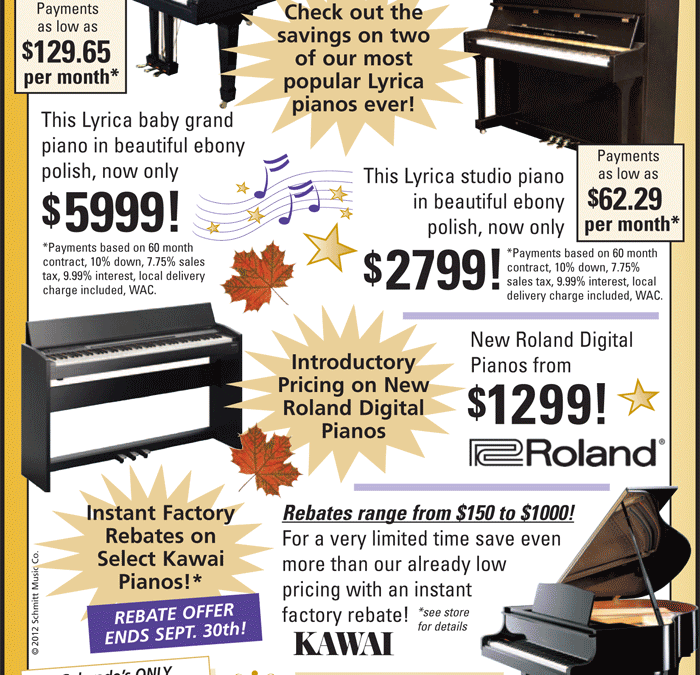 Fall Piano Specials at Schmitt Music Denver! Huge Labor Day Weekend Savings at Schmitt Music Omaha! Labor Day Piano Sale at Schmitt Music Kansas City!